I recently gave my blog a complete overhaul, inlcuding it’s very own domain, new name and fancy new design. Pop on over to Alas I Digress for my latest musings. Today I played hooky. No, I didn’t get a pedicure. I surprised my 94 year-old Grandmother with an impromptu visit in the middle of the day. When I arrived, she had just finished her chair exercise class and was in the dining room at a table by herself. It always makes me a little sad when I find her sitting by herself for meals. That said – it’s never for very long. However, today, I was relieved that I didn’t have to share her. I had business. As she elaborated on her day, I wondered how long it had been since she had a day in the park – just her and her grandsons. Then, my intentions turned inward and the guilt welled up, as I wondered how many park days that I’ve taken for granted or worse yet, wished I was somewhere else ticking off things from my to-do list. · Always put your husband first. · Always keep yourself looking good. · It’s nice to have pet names for each other (husband/wife). · Try to be home when your husband gets home. · If you can’t say anything nice – just don’t say it. · Always be honest (w/your husband). I almost couldn’t hear their answers over the feminist screaming in my head. At that moment, I was quietly content with the beauty of my life simply as a mother and a wife. 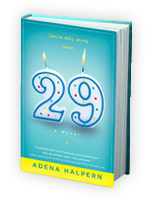 This post was inspired by the novel 29 by Adena Halpern, the April pick for the From Left to Write Book Club. A complimentary copy of this book was provided to me by the publisher. Halpern teases, “You’re only young twice.” In 29, a 75 year-old grandmother’s birthday wish comes true. She awakes as a svelte and beautiful 29 year old woman. The grandmother’s glorious adventures with her 20-something granddaughter made me want to scoop up my 94 year-old Gram and take her out on the town … road trip, shopping for a new outfit, lunch at an outdoor bistro, or a tropical drink enjoyed bar-side. Alas, we enjoyed a cup of soup and ice tea this afternoon. And, you know what? It was just right. This post was inspired by Lunch in Paris, the April pick f or the From Left to Write Book Club. A complimentary copy of this book was provided to me by the publisher. My two cents – Lunch in Paris was a true delight – equal parts romance/sweet memoir and fab-o recipes that brought out the “Frenchy” in me. For the love of cheese!! Not even 10 years earlier, her life was on a different trajectory. She was the daughter of second-generation German immigrants, who lived a simple and austere farm life in Richmond, Minnesota. She spoke only German until the third grade and then, at age 13, finished school and moved to a neighboring farm to earn money as a mother’s helper for her family. When she returned to the farm, she fell in love with a boy from a neighboring farm and before long, they were engaged. She loved her soon-to-be farm husband. Of course, her life would be as a farmer’s wife. Then, a horrific accident in the winter of 1940 left her left leg crushed and her young body body “crippled.” She was told that she would never walk again, and with that, her parents took her home, where she laid in bed for seven months. While her brothers and sisters would head out to the dance each Friday night, she lay in bed. Her Frank would sit at her bedside. As the days turned into months, it became clear that she could never make a good farmer’s wife. And, she knew Frank’s parents wanted him to call-off the engagement. Then, one night, she said simply, “This is not your fault. I’ll understand if you don’t come back.” And, with that, he left and never returned. To the doctor’s surprise, she did walk again almost a year later. In fact, with a stiff knee, she sprinted from the cold grip of Minnesota into the warm arms of California. In 1942, she made the three-day train trip to join her brothers in Long Beach, California. For almost two years, she worked the graveyard shift at Douglas Aircraft. She was an original Rosie the Riveter. During her rare days off, she would accompany her roommate to dances, where she’d fox trot into the wee hours of the morning with service men. It was war time. She was a 5 foot 10 inch natural beauty and would be courted and wooed by countless men – two of which she declined matrimony. Then, in the summer of 1948, she met a service man named Collin. She was 31 years old – three years his senior! He was tall and Catholic and handsome (in order of importance). He was also French! Oy, vey! But, mostly he was smitten and determined to win her heart. Little did he know that she had received four marriage proposals before his that each ended in heart break. And, if he knew, he didn’t care. At her request, he said in his best German, “Ich liebe dich meine liebe fraulien. Will you marry me?” And, for a lifetime, she drank from a mug that read, “Kiss me, I’m German.” His, of course, countered with, “Kiss me, I’m French.” And, kiss they did. “She” is my 94 year old grandmother. And, her stories about German holidays, Minnesota farm life, California adventures, and of course, L-O-V-E still hold me spell bound. This post was inspired by Mr. Rosenblum Dreams In English, the March pick for the “From Left to Write” Book Club. A complimentary copy of this book was provided to me by the publisher. Publisher’s overview: At the outset of World War II, Jack Rosenblum, his wife Sadie, and their baby daughter escape Berlin, bound for London. They are greeted with a pamphlet instructing immigrants how to act like “the English.” Jack acquires Saville Row suits and a Jaguar. But the one key item that would make him feel fully British -membership in a golf club-remains elusive. 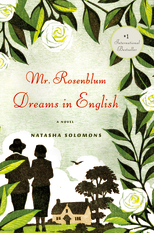 In post-war England, no golf club will admit a Rosenblum. Jack hatches a wild idea: he’ll build his own. In her tender, sweetly comic debut, Natasha Solomons tells the captivating love story of a couple making a new life-and their wildest dreams-come true. I explained that if he stopped staring at the bill long enough to look at me, he would see that I was wearing a jacket IN THE HOUSE. Under the jacket, I had a sweater and long-sleeved shirt. Plus, I was wearing a pair of his man-socks and shoes. Alas, I was still cold. Me being cold is a common theme here at homestead. One year, my parents presented me with an early Christmas present – my very own Snuggie. I love how my parents still find ways to take care of me – without regard to my age or concern about the numerous fashion violations that I rack up simply by donning the frock of fleece. To my husband’s defense, he regularly refers to me as a well-oiled machine (nice PR move on his part). At 72 degrees – I am freezing. At 80 – I am burning up. From 76 to 78 degrees, I hum and purr. In other words – no complaining about my internal temp. And, he’s right. However, that doesn’t account for his Fred Mertz tendencies upon the arrival of the monthly PG&E bill. Apparently, he’s not the only man who runs hot when it comes to the power bill. “Turns out, there’s a biological explanation behind this heated battle at the thermostat,” reports CBS News Correspondent Kelly Cobiella. Women conserve more heat around their core organs than our counterparts (alas, warm heart). Since women carry less fat and muscle mass than men, our bodies need to be more efficient in protecting our core body temperature. Mark Newton, a long-time scientist at the Gore-Tex company, says that women really do feel the cold more than men, because we are better at conserving heat than men. The result – less blood flows to their hands and feet (alas, cold feet). I won’t digress into a men-versus- women argument. I won’t dare suggest that our bodies are more efficient or that we are biologically superior in protecting our vital organs. I wouldn’t think to do such a thing … well, that is until next month’s bill arrives. Teen speak: Gag me with a spoon! That’s right, I was a Valley Girl. Not the pretend kind. I grew up in the San Fernando Valley and could weave 30 “likes” into any conversations with skill and ease. I had great intonation. Plus, I had perfected the eye roll (also known in the day as rad skilz!). I’m sure it was painful for anyone over the age of 16 to engage in conversation with me. My problem is the number hours spent sending sloppy, grammatically incorrect text messages back and forth. Not to be melodramatic, but I’m concerned about the destruction of the English language and annihilation of general civility. (Okay – so I’m a little melodramatic). For real — I find texting crass. When I see LOL, I want to scream, “Use your words!” So cliché. So boring. So utterly lazy. However, I’m smart enough to know that this is how my kids will someday soon communicate with me. They won’t use whole sentences with punctuation. They won’t even use their own words. They’ll send me quick, punchy texts to tell me their whereabouts. But, because it’s their language and their rules – I’m learning. The Online Mom, Monica Villa, writes, “Think of the Internet as a giant swimming pool. You can put a fence around it. But, the safest child will be the one who knows how to swim!” I’d add one important footnote here. You can’t teach your kid to float if you don’t get in the water. So, this is me, diving into the world of texting – NT (no thanks), NE1HR (anyone here), 143 (I love you), PAL (parents are listening) or TAW (teachers are watching). 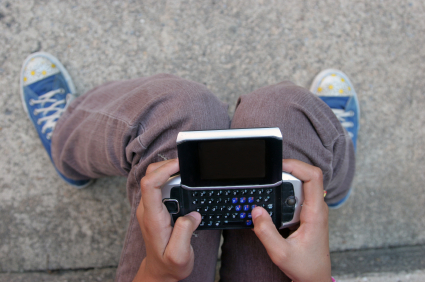 For the down-low on IM/texting lingo, check out Monica’s handbook on “Staying Safe Online.” And to keep it real, I remind myself that I regularly used the words “groddy,” “totally” and the occassional “gnarly” during my formative years. Alas, I turned out okay. ﻿ Every once in a while, I have an experience that changes me as a person – as a parent – as a woman. 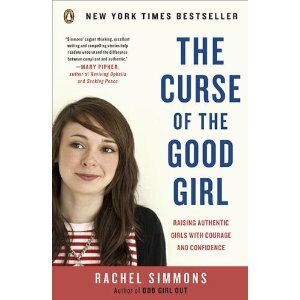 Most recently, it was reading the book, The Curse of the Good Girl. I was – and to some extent, still am – that good girl. Quiet. Polite. Demure. My daughter, on the other hand, is none of those things. Disclaimer: Michele received a free copy of The Curse of the Good Girl to review for the MamaManifesto and FromLeftToWrite readers. Me and my “to do” list parted ways about a year ago. It was never just one list. It was lots of very long lists. Work lists, family lists, school lists, holiday lists. On the weekends, my husband and I would make a mammoth mutual list of “to dos” that would live on our kitchen counter from Friday eve to Monday morn. That’s the problem. My lists had become so unweilding and unrealistic that I was feeling pretty unfulfilled with the whole list-making exercise. Plus, if everything didn’t get done, I felt down-right depressed. Then, one day – I had it. I told him, no more lists. Plus, I didn’t even want to see his lists lying about thumbing its nose at me. He didn’t believe me at first. That was about a year ago. When the holidays arrived, I found myself scribbling notes here and there. Then, last week my online book club selection arrived. “Take the Cake — A working mom’s guide to grabbing a slice of the life you’ll love.” It was a 150-page how-to book that I devoured over two cups of coffee. If author MF Chapman had the secrets to surviving the everyday juggle and achieving one’s dreams – I’m in (even if it means making peace with the “to do” list). The good news was that her suggested “to do” list was a completely different form factor then my long and detailed lists. Chapman’s list was divided into four quadrants that represent each area of my life (me, family, work and blog). Sadly, the “me” quadrant only included one item … yoga. And, the funny thing is that I haven’t exercised in years and have only done yoga twice in the last month (ever). The majority of my “to dos” fell into the family/work camp and the week’s lists barely fit into the quadrant. It was pitiful. When my husband saw the list, he asked, “Where am I? Do ‘we’ go under ‘me’ or is that a ‘family’ item.” Ummm…. hmmm. I didn’t know how to answer that, but I did know I wanted my own quadrant (for goodness sakes!). Maybe, I need another quadrant “we.” Is it possible to have five quadrants? Again – pitiful. For about a month, I’ve been looking at my list. Many of the little items have been crossed off, which has left me contemplating the big things. If the list and are going to co-exist, there has to be some rules. The first rule being that the smalls stuff that clutters my life and hurts my head needs its own everyday list – preferably on a tiny post it that can be tossed daily. The best thing about Chapman’s “to do” list is that it was about achieving the life’s most important goals, while managing the everyday – which means I need to find a place for “we” and “me” in my list. For that alone – it’s worth raising the white flag and making peace with my list. 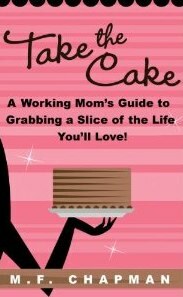 Disclosure: I received a complimentary copy of “Take the Cake.” If you would like to read more blog posts inspired on “a working mom’s guide to grabbing a slice of the life you’ll love,” please visit From Left to Write online book club. My husband hates our mini-van. I’m pretty certain that he’ll only drive it if the kids and I are visibly riding in said car. 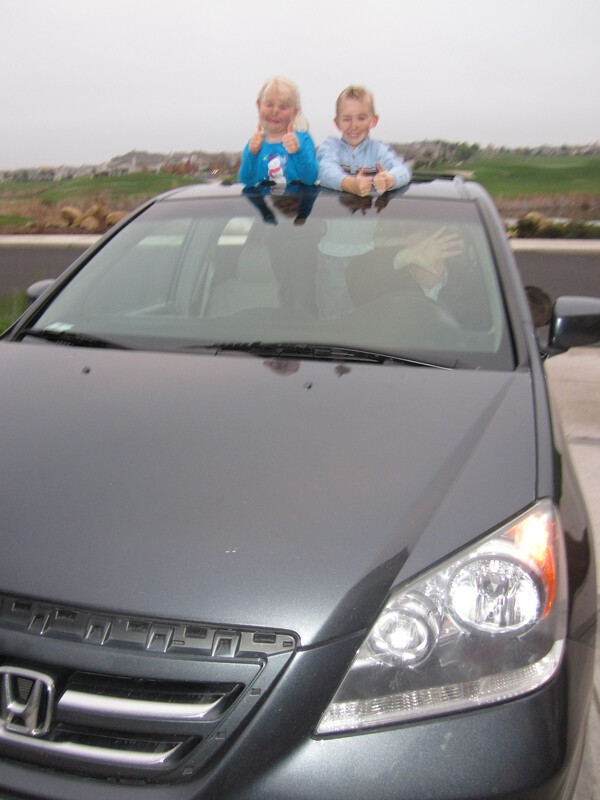 Consider the consequences of driving the mini-van without the kids? Apparently, other dudes pity the poor male sap who has to drive the family truckster – or so I’m told. However, our conversation recently escalated when our much “cooler” car needed to be smog checked. I suggested that we trade cars for the day. It seemed reasonable. He could drive the mini-van to work and I would take care of the smog check, which was awfully decent of me on two accounts. His response, “No way! I can’t roll like that.” Oh, if you could have heard my lecture, which included you should thank God that you have a good job and nice car to drive. Didn’t matter. He wasn’t kidding and he also wasn’t budging. All this has got me thinking. Not necessarily about how stuff defines you, but how it makes you feel. My car screams mom-mobile versus the ubber cool mobile mom. The van is all about function. Yet, it has the added benefit of comfort. It’s like eating a plate full of mashed taters with gravy – all comfort with heapings of mess. Ridding in his car is like wearing a leather jacket – all attitude, baby. Clearly, the mini-van makes my hubby feel less hub-a-licious. I suppose that I could be more sensitive to his mini-van hang-up and not duck and hide when we’re riding around town. Nah, teasing him is waaay more fun. With the amount of blogging I do about food and dinner prep, you’d think that I was some wanna-be foodie, right?! Nope. I try really, really hard to eat healthy. If I had it in me, I’d have my own garden and supplement it with fresh fruits/veggies from nearby farms. Maybe I’d even buy a pig or a cow and big hunkin’ freezer to put it all in. Of course, there would be canning too. Alas I digress … because buying a cow is so far from my reality. In fact, I’m likely to skip a meal to squeeze in a few extra minutes of work. Or, skip a meal simply so I don’t have to figure out something to eat and then, stop what I’m doing to prepare and eat it. Sounds incredibly lazy, I know. 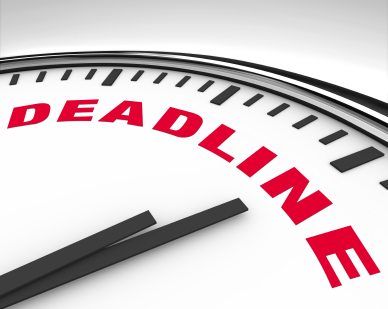 Simply put – good cooking and healthy eating are time consuming. Boy, was I right. I made “Baked Mediterranean Shrimp” from Myra Goodmans’ cookbook “The Earthbound Cook.” I didn’t even know it was possible to BAKE shrimp. It had all of my favorite things – Kalamata olives, feta cheese, capers, tomatoes, pasta. Oh yeah, it had shrimp too. It was fabulous. I don’t remember which parts of the meal my kids ate, because I didn’t care. I was in food heaven! In fact, the entire evening was perfect. After dinner, we pulled out a deck of cards and taught my sister-in-law to play hearts. Amid lots of laughter, our husbands schooled us in cards while the kids played in the background. Really, there’s nothing better than closing the “to do” list in the top drawer and opening up our house to good food, a deck cards and a highball (or two) with my favorite in-laws. 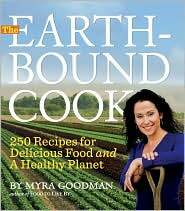 Disclosure: I received a complimentary copy of “The Earthbound Cook: 250 Recipes for Delicious Food and A Healthy Planet.” If you would like to read more blog posts inspired by “The Earthbound Cook,” please visit From Left to Write online book club.